This article is about current Disney record label. For 1950s R&B label, see Recorded In Hollywood. Hollywood Records, Inc. is an American record label of the Disney Music Group. The label focuses in pop, rock, alternative, hip hop, and country genres, as well as specializing in mature recordings not suitable for the flagship Walt Disney Records label. Founded in 1989, its current roster includes artists such as Jordan Fisher, Zella Day, Queen, Zendaya, Ocean Park Standoff, Dreamers, Bea Miller, Martina Stoessel, Breaking Benjamin, Jorge Blanco, Sabrina Carpenter, R5, Olivia Holt, Sofia Carson, Forever in Your Mind, New Hope Club, Joywave, Maddie Poppe and In Real Life. The label also releases Marvel Studios's soundtrack and compilation albums in conjunction with Marvel Music. Hollywood Records was founded in 1989 by Michael Eisner, then CEO of The Walt Disney Company as a way of expanding the company's music operations by looking to develop and promote the careers of a wide variety of artists in various genres. At the time, the company was limited to the release of soundtracks from Touchstone, and Hollywood Pictures films. Lawyer Peter Paterno was the first president of the label, until his resignation in 1993 because of the division's lackluster sales. After failing to sign new artists such as Nirvana, Smashing Pumpkins, Naughty By Nature, Cypress Hill and Dr. Dre, the label experienced its first major success in February 1990, when it acquired the North American distribution rights to Queen's entire catalog for $10 million. 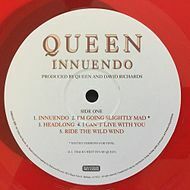 The following year, the first Queen album under Hollywood, Innuendo, was released. The deal's outlook as an important economic opportunity was immediately affected by the premature death of the band's lead singer Freddie Mercury, although the band's catalog sales managed to successfully generate nearly $94 million in revenue for Disney from 1991 to 1995. Bob Pfeifer was named President of the label in March 1995 after a whole year without a President, but problems continued to the label and Pfeifer was fired in 1997, after the label revealed that he had lost over 150 million dollars since 1989. In 1997, Disney acquired Mammoth Records, in order to get an already-established record label that could succeed. However, the acquisition of Mammoth was a failure and the label was closed and integrated to Hollywood in 2003. Additionally, during this time, they had signed Duran Duran to a three-album contract, and subsequently released Pop Trash, only to terminate their contract after disappointing album sales. In 1998, the company decided to form Buena Vista Music Group (now Disney Music Group), integrating the operations of Walt Disney Records along with Hollywood, Lyric Street, Mammoth, and Walt Disney Music Publishing. Bob Cavallo, former manager of Earth, Wind & Fire and Prince was appointed as chairman of the group, and president of Hollywood Records. This movement looked to organize the music operations of the company under a more integrated direction. After some years of development, Hollywood Records had its first major success in 2003, when Metamorphosis, Hilary Duff's first non-holiday album, was released and became a success to the label, selling over three million copies in the United States. The launch of Duff's career represents a new business model for the record, utilising the synergies around the company, including important outlets like Disney Channel, Radio Disney, ABC Family & ABC. Duff's albums released under Hollywood proved to be equally successful including 2004's Hilary Duff and 2005's Most Wanted. A similar business model was utilized in subsequent Hollywood's artists like Demi Lovato, Miley Cyrus, Bridgit Mendler and Selena Gomez with several productions that gained Platinum or Gold certifications. Their musical careers proved that the label had become a success. At the same time, the label continued to develop the careers of artists with a less mainstream profile like Grace Potter & the Nocturnals, Breaking Benjamin or Plain White T's, but who had been successful in its own terms. The label also continued to release soundtracks from films and TV shows, mainly those derived from Marvel Studios productions. In 2010, Hollywood absorbed the remaining operations of country music label Lyric Street Records, which became an imprint for the catalog of the defunct-label, currently managed by Hollywood. In 2011, Queen left EMI for Universal-owned Island Records, with Hollywood continuing to remain the group's North American music distributor. In January 2012, after 14 years of a successful tenure, Bob Cavallo retired as chairman of the Group and Ken Bunt was appointed as president of the group. Several changes have been done under his tenure, including the retirement of long-time executives from the Cavallo's era like Abbey Konowitch, Justin Fontaine and Jhon Linda and the appointment of new A&R's like Mio Vukovic and Mike Daly. In March 2013, Disney Music Group and Universal Music Group announced the expansion of their relationship with a new commercial and creative agreement that enable Hollywood Records' artists to collaborate with the roster of producers and songwriters that are part of Universal. Since 2013, Hollywood Records also uses the brand name DMG Nashville to specialize in country music. The genre label was founded to provide music licensing for Bigger Picture Music Group. After Bigger Picture's closure in 2014, DMG Nashville released its first studio album; Lucy Hale's Road Between. Hollywood Basic was Hollywood’s short-lived hip-hop subsidiary, run by Dave Funkenklein, which existed (between) from 1990 to 1995. It did not survive the distribution transition its parent made to PolyGram Records, and all of its recordings were deleted, save for those by Organized Konfusion, which were repressed under the new deal. It was the first label to record DJ Shadow, releasing his "Lesson 4" (a reference to Double Dee and Steinski) as the B-side of a 1991 single by Lifers Group, a hip hop group composed of prisoners at East Jersey State Prison in New Jersey. It also released Shadow's Legitimate Mix on the B-side of a single by the group Zimbabwe Legit in 1992. Arguably the most high-profile release was due to be BASIC Queen Bootlegs, a 10-track collection of hip-hop remixes and reinterpretations of tracks by the rock band Queen and featuring roster names plus guests such as Ice Cube. Although the BASIC Beats Sampler confirmed its release date for April 1992, the album was not commercially released although it has since leaked online. Other notable releases came from Organized Konfusion; its challenging second album, Stress: The Extinction Agenda (1994), was widely acclaimed. The label was also home of Charizma and Peanut Butter Wolf, although, following the shooting death of Charizma in 1993, the music the duo recorded for the label was not released. This would later inspire Peanut Butter Wolf to found Stones Throw Records in order to make this music available. Acts on Hollywood BASIC's roster included Charizma and Peanut Butter Wolf, Lifers' Group, Organized Konfusion, Raw Fusion, Hi-C, and Zimbabwe Legit. Upon its 1989 launch, Hollywood was distributed by in the United States and Canada by Elektra Records, at the time owned by Disney rival Time Warner. Distribution in North America switched to PolyGram (now Universal Music Group) in 1995 (partnered with A&M in Canada until the formation of Universal in 1999). Today, Universal Music Group markets and distributes Hollywood Records catalog worldwide except for Russia; Warner Music Group is the label's Russian distributor. Also, several Hollywood artists including Demi Lovato, Bridgit Mendler, Selena Gomez & the Scene, Nick Jonas & the Administration, Joe Jonas, Miley Cyrus, and Jonas Brothers directly signed to Universal Music UK's Fascination Records. There were reports in 2011 that Disney Music Group would start an independent US distribution arm for its label's releases, but as of February 2012, those plans have yet to be enacted. Universal Music Group acquired EMI in 2012 but pledged not to renew its European license with Disney; both sides eventually changed their minds. In March 2013, Disney Music Group and Universal Music Group announced the expansion of their relationship with a new commercial and creative agreement that enabled Hollywood Records' artists to collaborate with the roster of producers and songwriters that are part of Universal Music. ^ Graser, Marc (March 27, 2013). "Ken Bunt Promoted to President of Disney Music Group". Variety. Retrieved March 30, 2013. ^ "Universal Music Group (UMG) & Disney Music Group (DMG) Expand Agreement Globally". PR Newswire. March 20, 2013. Retrieved May 6, 2013. ^ "Company Overview of Hollywood Records, Inc". Bloomberg Magazine. September 3, 2016. Retrieved September 3, 2016. ^ "Disney To Launch New Record Division". Chicago Tribune. November 29, 1989. Retrieved July 17, 2014. ^ "Queen Signs With Disney, Raising Hope For Cd Releases". Chicago Tribune. Los Angeles Daily News. September 13, 1990. Retrieved July 17, 2014. ^ Wilker, Deborah (May 7, 1992). "Queen Must Decide On Replacing Freddie Mercury". Sun-Sentinel. Chicago Tribune. Retrieved July 17, 2014. ^ "THE MEDIA BUSINESS; Memo Cites Disney Records' Woes". The New York Times. November 27, 1991. ^ Philips, Chuck (April 30, 1995). "Disney Co Trouble in Tunetown : Hollywood Records Remains Hitless". Los Angeles Times. Retrieved July 17, 2014. ^ "Head of struggling Disney music unit quits: Walt Disney..." Chicago Tribune. April 17, 1997. Retrieved July 17, 2014. ^ Gabriel, Trip (July 28, 1997). "The Corporate Wooing and Winning of Mammoth Records". The New York Times. ^ Chmielewski, Dawn (July 9, 2007). "A Cinderella story for Disney Music Group". Los Angeles Times. Retrieved September 7, 2015. ^ "Regrouping, Disney Music Names Chairman". The New York Times. January 12, 1998. ^ Sisario, Ben (February 8, 2006). "A Musical For Tweens Captures Its Audience". The New York Times. ^ Collett-White, Mike (November 8, 2010). "Queen Signs To Universal, Preps Remastered Albums". Billboard Magazine. Retrieved July 17, 2014. ^ Finke, Nikki. "Ken Bunt Will(LA Version) Run Disney Music Group In 2012 When Bob Cavallo Retires". Deadline Hollywood. Retrieved August 12, 2012. ^ "Universal Music Group (UMG) & Disney Music Group (DMG) expand agreement globally". March 20, 2013. ^ Nicholson, Jessica (November 14, 2013). "Bigger Picture Group Teams With DMG For Music Licensing". Music Row. Retrieved June 13, 2014. ^ "Disney's Rap Label Shows Conviction". Chicago Tribune. Los Angeles Daily News. March 28, 1991. Retrieved July 17, 2014. ^ Peter Shapiro, Rough Guide to Hip-Hop, 2nd ed. London: Rough Guides/Penguin Books, 2000 (p. 102). ^ Peter Shapiro, Rough Guide to Hip-Hop, 2nd ed. London: Rough Guides/Penguin Books, 2000 (p. 291). ^ Peter Shapiro, Rough Guide to Hip-Hop, 2nd ed. London: Rough Guides/Penguin Books, 2000 (pp. 349–351). ^ "UNIVERSAL MUSIC, DISNEY MUSIC FORGE LICENSE AGREEMENT FOR AUSTRALIA, NEW ZEALAND: Forthcoming Releases Include Jonas Brothers and Hannah Montana". Universal Music Group. Retrieved December 6, 2012. ^ "Universal-EMI Merger Approved By Canadian Regulators". billboard.com. Retrieved January 9, 2017. ^ "Universal Music Group (UMG) & Disney Music Group (DMG) Expand Agreement Globally". PR Newswire. March 20, 2013.